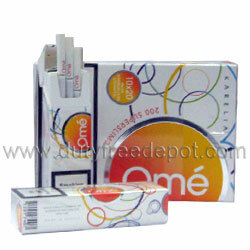 If you are into white and trendy cigarettes, then you must try Karelia`s Omé Superslims Yellow smokes. This cigarette gives you great taste, while keeping the Tar low. Packed conveniently in a lipstick pack.